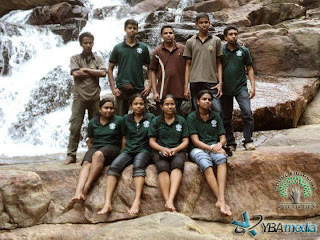 Members of YBA had the privilege to enjoy another great day on 7th May 2012 at the second field trip organized by the association for the year 2012. The destination of the trip was Kanneliya Man and Biosphere Reserve. 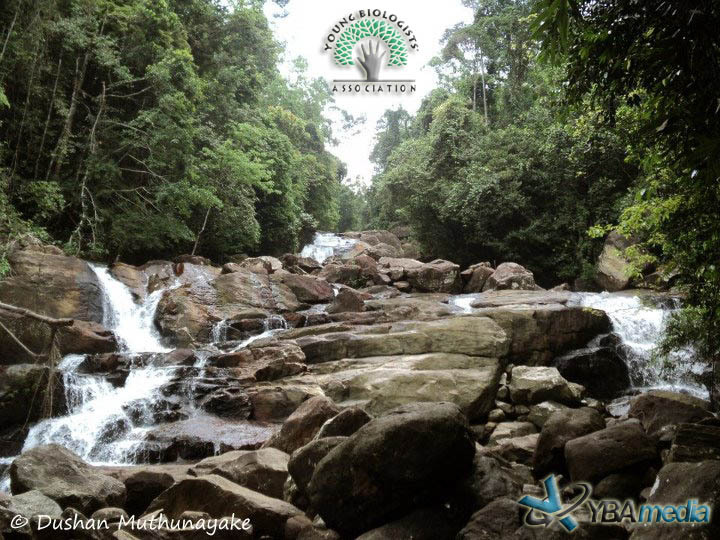 Kanneliya is located about 35 km north east of Galle and it consists of 5306 ha of forest area. It is home to a rich bio diversity with a high endemic percentage. Our journey started from Nugeggoda highlevel junction at about 7.15 am. We entered to the Southern Lanka highway via Kottawa entrance and exited from Baddegama exit. Then we followed Udugama road and reached Kanneliya after travelling a few kms passing Udugama. Our young explorers consists of 9 members were tempted to break shekels after some time and after obtaining tickets to enter forest we entered the forest at about 10.00 am. 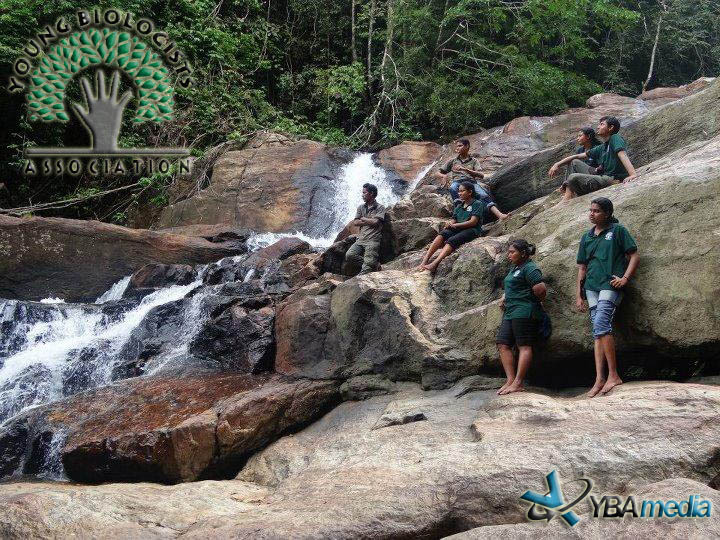 At the entrance, senior member Menan Jayarathne gave an introduction about the Kanneliya forest and its importance. From the beginning of our hike through the forest, we came across many interesting fauna and flora. Rare and endemic damselflies (Order Odonata) Dark Forestdamsel (Platysticta apicalis) and Blurry Forestdamsel (Platysticta maculata)and the beautiful butterfly, Tree Nymph (Idea iasonia)were among the first species we could observe. As we trek in the forest we observed some birds also including few endemics namely, Sri Lanka Grey Hornbill (Tockus gingalensis), Sri Lanka Crested Drongo (Dicrurus lophorinus), Sri Lanka Hanging Parrot (Loriculus beryllinus), Sri Lanka Yellow-fronted Barbet (Megalaima flavifrons). Even though we heard the call of another endemic bird, Sri Lanka Green-billed Coucal (Centropus chlororhynchus) but it was not sighted. 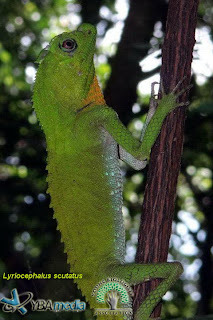 The reptiles we found during the hike included endemics, Hump-nosed Lizard (Lyriocephalus scutatus), Whistling Lizard (Calotes liolepis) and Kangaroo lizard (Otocryptis wiegmanni). Inside a cave that runs under the foot path we followed we encountered a colony of Shneider's Leaf-nosed bats (Hipposideros speoris ) and several adults of the amphibians Adenomus kelaarti and Hylarana temporalis. Once we stopped our hike at a small stream for a little break and while resting we could observe some fresh water shrimps, crabs, fish like Tiger Loach (Schistura notostigma) and rare, endemic damselfly Red-striped Threadtail (Elattoneura tenax). The main destination point of our hike to the Kanneliya forest was the Anagimalei falls. 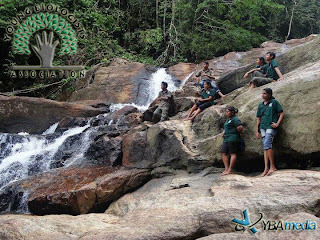 After reaching that beautiful water fall we spent some time there enjouying the beauty of the nature and taking photographs. We took some group photos also. While enjoying the beautiful scenery we spotted some butterflies such as Blue Mormon (Papilio polymnestor), Red helen (Papilio helenus), Tree Nymph (Idea iasonia)Rustic (Cupha erymanthys) and several dragonflies including rare, endemic and globally endangered dragonfly Rivulet Tiger (Gomphidia pearsoni). 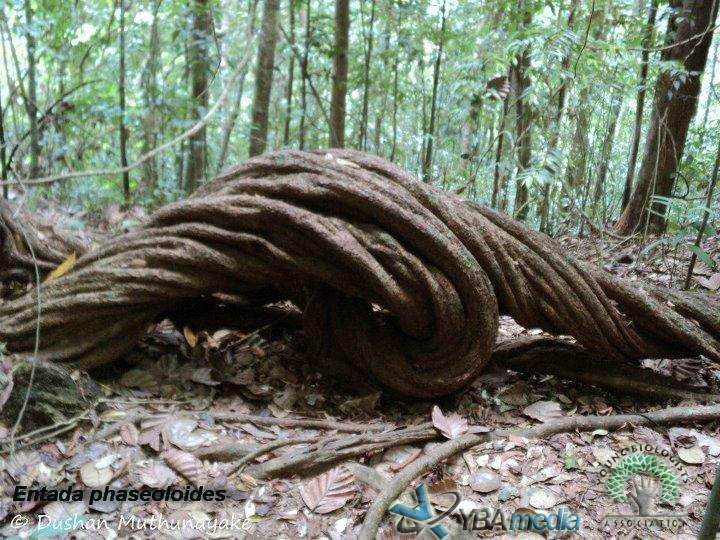 After leaving Anagimalei falls we went to see the giant Pus liana (Entada phaseoloides) situated only a few hundred meters away from the falls. Apart from Pus, we could observe several other lianas including the Weniwal (Coscinium fenestratum) which is highly useful as a medicinal plant. The flora we saw during the trip included many more native and endemic plants and lower plants such as Selaginella and Pogonatum spp. After we left the giant Pus liana we trekked a little further in to the forest ant then headed back to the entrance of the forest. 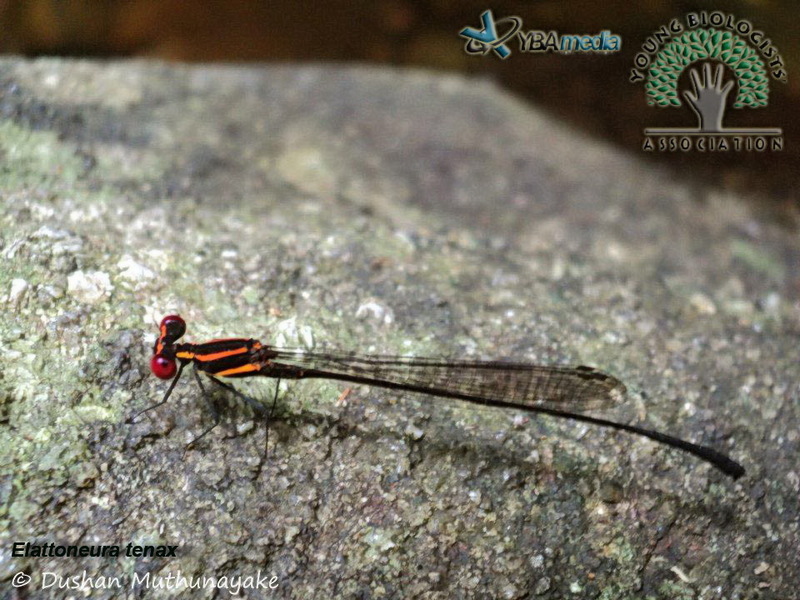 On our way back we found another rare, endemic and globally endangered damselfly namely, Jungle Threadtail (Elattonura caesia). It was about 3.00 pm when we returned to the entrance of the forest. We spent the next hour to bathe and enjoy the refreshing water of the stream that flows near the forest office. During the time we spent there we could observe few endemic fishes like Black Ruby Barb (Puntius nigrofasciatus) and Black-lined Barb (Puntius pleurotaenia). After spending a wonderful day, we left Kanneliya after having our lunch at about 4.00 pm. We followed the same route to reach Kottawa and went back to our own homes with a lot of happy memories.